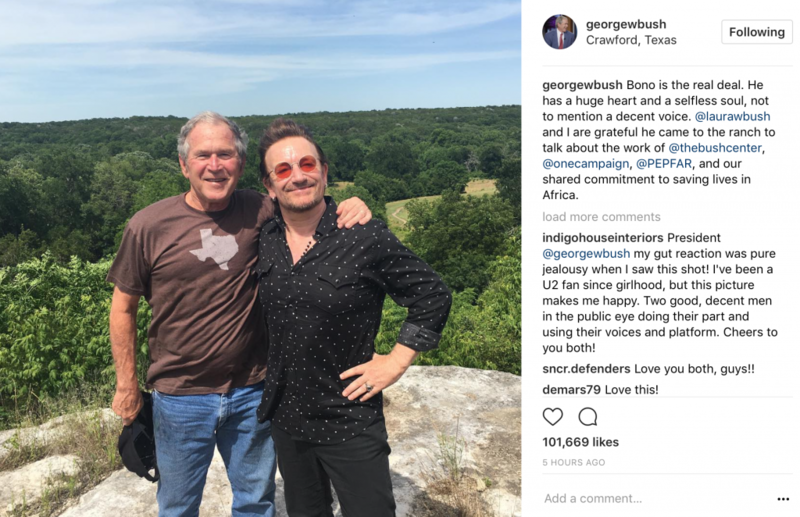 Bono is the real deal. He has a huge heart and a selfless soul, not to mention a decent voice. @laurawbushand I are grateful he came to the ranch to talk about the work of @thebushcenter, @onecampaign, @PEPFAR, and our shared commitment to saving lives in Africa.